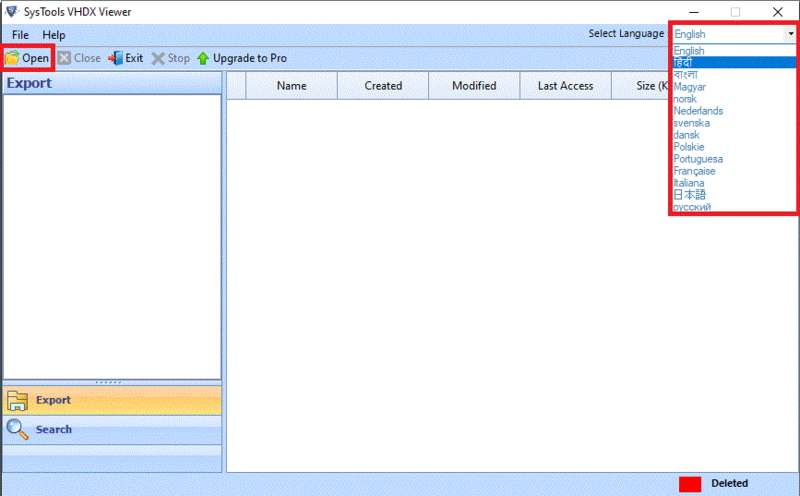 The tool allows the user to open and preview VHDX file. The file that cannot be opened on different virtual machines can be opened using this tool. Even corrupted and permanently deleted VHDX file can also be previewed. The demo version allows the user to preview the content of VHDX file. When any VHDX file is viewed using this tool, there are no modifications. The file viewed from this tool is exactly same as original one. Not even a single bit is altered regarding format, style and content of the file. 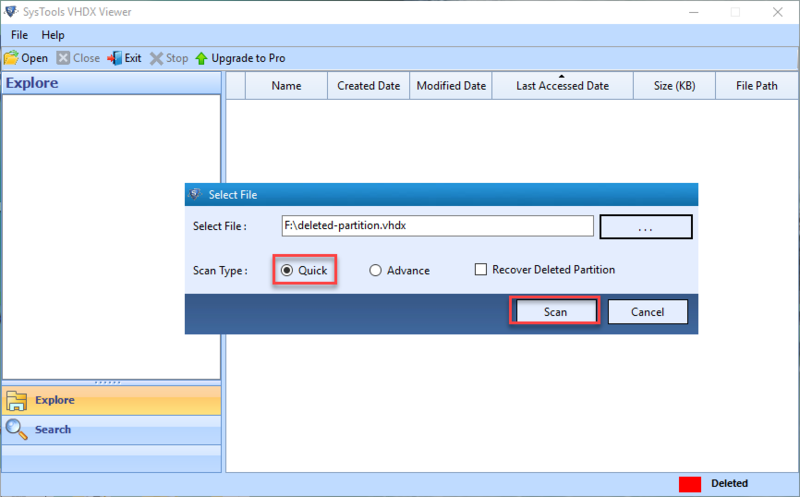 The tool allows the user to view corrupted or damaged VHDX file. Not only this, the permanently deleted data can also be viewed using this tool. Files are previewed easily and content of the file can be explored effectively. No file size limitation is imposed by this VHDX file viewer. User can view any VHDX file irrespective of the size. Both FAT 32 and NTFS file system can be viewed and that too, without any size limitation. Can I view Corrupted VHDX file using this tool? Yes, the tool facilitates the user to view Corrupted VHDX file. Even hard deleted files can also be viewed and opened. If the VHDX file does not open from virtual machine, is your software able to open it? 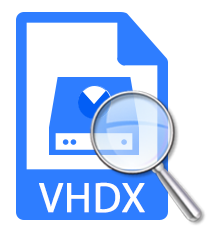 Yes, the files that cannot be opened from any virtual machine can be opened with the help of this VHDX Viewer. Does your software support FAT 32 or NTFS file system? 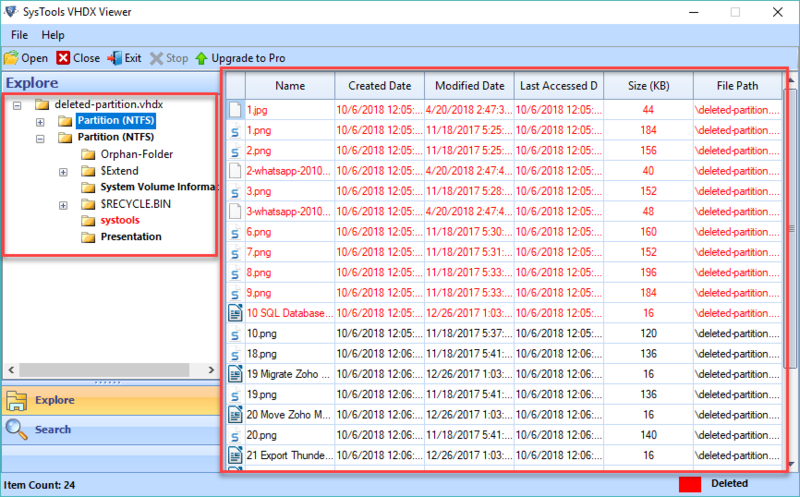 The VHDX Viewer is compatible with both type of file system: FAT 32 and NTFS. But, the tool only supports GPT partition style.